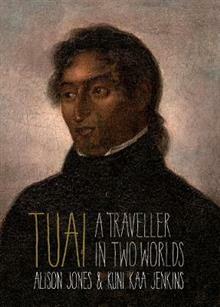 "Tuai of Ngare Raumati was probably the most written-about Maori in the first quarter of the 19th century. His name or a version of it appears in most indexes of books about the pre-1830s Bay of Islands. But almost all modern references to him are in passing. This book indicates ... read full description below. "Tuai of Ngare Raumati was probably the most written-about Maori in the first quarter of the 19th century. His name or a version of it appears in most indexes of books about the pre-1830s Bay of Islands. But almost all modern references to him are in passing. This book indicates that Tuai, who was born about 1797, should be more widely remembered for the key roles he played in those early engagements. He was 27 when he died included periods living in Australia and England, and he probably knew more than any other contemporary Maori person about European life. He sought Pakeha friends, and worked hard at educating them, contributing significantly to early-nineteenth-century English and French knowledge of Maori language and culture. Tuai's plans for Pakeha were shaped by the tensions in the Bay of Islands between his Ngre Raumati people (to the south east) and a northern alliance of hap under the leadership of Ngpuhi. Following Tuais death in 1824, Nagre Raumati were dispersed from their territories, and Nagpuhi could complete their push into the Bay of Islands. Perhaps because of this defeat, Tuais story is only now being properly told"--Publisher information. Alison Jones is an educational researcher and a Professor in Te Puna Wananga, the School of Maori and Indigenous Education at the University of Auckland. Her first book with Kuni Kaa Jenkins, He Korero: Words Between Us - First Maori- Pakeha Conversations on Paper (Huia, 2011), won the Nga Kupu Ora Maori Book Awards, the PANZ Book Design Award, and the Best Book in Higher Education Publishing (Copyright Licensing New Zealand) in 2012. Kuni Kaa Jenkins, from Ngati Porou, is an educational researcher and a Professor in Education at Te Whare Wananga o Awanuiarangi. Her first book with Alison Jones, He Korero: Words Between Us - First Maori- Pakeha Conversations on Paper (Huia, 2011), won the Nga Kupu Ora Maori Book Awards, the PANZ Book Design Award, and the Best Book in Higher Education Publishing (Copyright Licensing New Zealand) in 2012.